Taking over the MLB License for baseball figures, Imports Dragon may be the most spectacular sports figures ever made! The detail is unbelievable and the price is ever better! 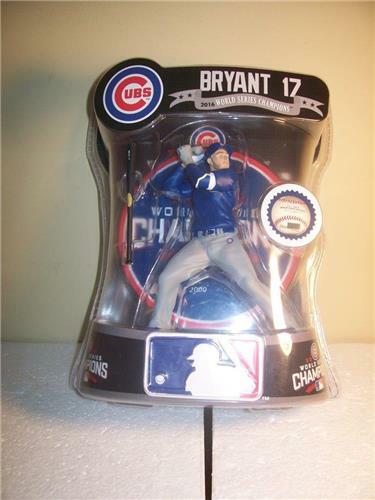 This is th exclusive limited edition figurine of Kris Bryant featuring a beautiful round base with World Series Champions printed on the base. Each figure is numbered out of 2,000 on the base as well.